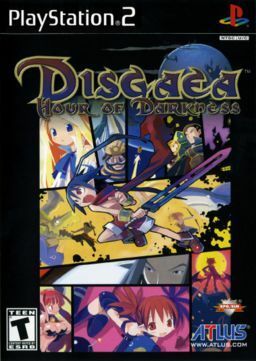 All the joys of tactical role playing games, quality voice acting and memorable characters makes Disgaea: Hour of Darkness one of the better games that has gone relatively unnoticed. Prince Laharl of the Netherworld has been asleep for two years. Within the two years he was sleeping, his father King Krichevskoy the Overlord of the Netherworld, has died and his kingdom has been turned into disarray. Awakened by Etna, a loyal although snaky vassal of the kingdom, Laharl tries to come to grips with a changed world. Etna, after reteaching Laharl how to battle, follows him into battle against the demon Vyers. Battling through different parts of Vyers’ Castle, Laharl and Etna add more members to their party by returning to Laharl’s castle to stock up only to continue their fight. To restore his kingdom, Laharl will have to defeat more than just a demon. Most in-game dialogue, with accompanying voice-acting, takes place with drawn reactions and scrolling text. Non-battle environments use fixed-camera 3-dimensional maps. Most time within the game takes place in tactical role playing environments.